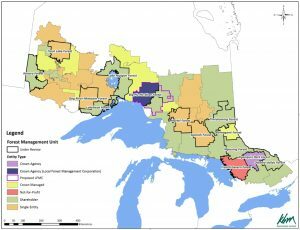 Ontario’s latest Forest Resources Inventory covers an area of approximately 555,000 square kilometres of forest land and wetlands. The surveyed area falls within what is known as the “Area of the Undertaking” (part of central and northern Ontario that is licensed for forest operations) as well as the southern portion of the Far North. KBM has been a provincial leader in the FRI business since 1998, and has been working for the last 10 years to assist the province in completing the latest ‘enhanced’ or eFRI. This includes both field surveys and digital aerial photo interpretation information to describe and verify forest attributes including: tree species composition, range, age and distribution. It also covers forest, ecological and land use conditions that help describe the provincial land base. 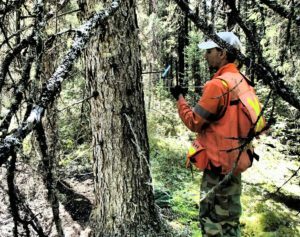 Forest and land inventories are critical for supporting resource management decisions and are used for reporting on forest health and sustainability at the provincial and national level. 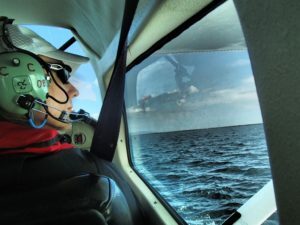 KBM’s full service approach includes trained ground crews working in both near and remote locations to carry out field surveys as well as a lab running 24/7 where qualified technicians do aerial photo interpretation to support the delivery of the provincial eFRI. To date, KBM has interpreted over 8.5 million hectares of forest area and assessed approximately 12 thousand ground plots across the province. 3. 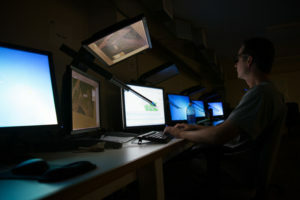 Aerial photo interpretation and quality control.